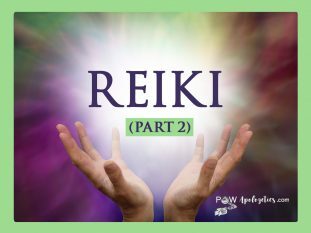 The focus of Part 1 was a friendly letter of warning that could be sent to anyone considering the practice of Reiki. Using a similar letter, I reached out to my friend [a.k.a. “Shannon”] who was in spiritual jeopardy. After reading it, she discovered an article promoting Reiki to Christians—especially those with limited understanding of Bible Scripture. So I wrote a second letter explaining why Reiki clashes loudly with biblical Christianity. Hi again, [name of friend]! Today I read the “Reiki for Christians” article you found, which aims to attract Christians. 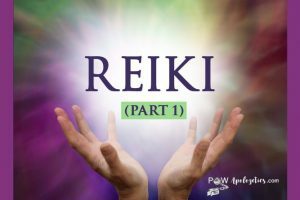 Since it’s quite problematic, I decided that even if my whole schedule got backed up, I needed to take time to shed more light on Reiki for you. So I delved into the subject more deeply. I’d like to point out some of the misleading statements in the “Reiki for Christians” article. This online Reiki article3 saddened me as I read it, since New Age philosophies and practices, including Reiki, clash loudly with Christianity. Not only do they present opposing worldviews, but Scripture clearly forbids occultic practices (see Deuteronomy 18:9–12 and Acts 19:11–20). Our magnificent God revealed in His Word that such activities are disgraceful to Him. Even so, Reiki can deceive Christians who are unaware of these two strategies of the “Enemy of our souls”: Satan can transform himself into an angel of light, and his followers can transform themselves into ministers of righteousness (2 Corinthians 11:14–15). The article suggests that Christians can choose to become “healers,” but that isn’t so. In the Bible, the marvelous “gifts of the Spirit” are imparted by God’s Holy Spirit according to His will (1 Corinthians 12:4, 11). Of the nine spiritual gifts listed in that chapter, the “gift of healings” is one. The Holy Spirit graciously gives every Christian at least one spiritual gift for service to God, according to His plan. So, it is presumptuous for people to think they can use God’s power as they see fit. The article refers to the biblical practice of “laying on of hands.” While this action is seen repeatedly in the book of Acts, it’s always done by Christians filled with, and led by, the Holy Spirit. (And of course when Jesus walked the earth, He often healed without touching anyone.) Acts 8:18–21 says that “the laying on of hands has no power in itself and is used by God only when done in agreement with God’s Word.”4 Thus, Reiki practitioners misuse this biblical action, and in doing so, they oppose God’s work, e.g., by accessing guides from the realm of darkness. The end of the article states that “the best way to decide if you should take up the practice of Reiki can be best answered through prayer.” That sounds wonderful. However, the practice of Reiki is contrary to the Bible, which is God’s revelation to mankind and the final authority of truth (John 17:17; Psalm 119:89). Also, God only hears prayers from true believers, yet with one exception: He hears anyone who calls out to Him for salvation. “Whoever calls upon the name of the Lord shall be [eternally] saved” (Romans 10:13). How glorious is that! Next, here’s a word picture I came up with, to explain more clearly the invisible spiritual conflict. A young woman named Juliana was on a long journey home, traveling on foot. Before she set out, a friend warned her to walk straight home and not enter “The Enchanted Land.” That’s because if she did, a heavy drowsiness would overcome her, eventually making it impossible to get back on course and reach her desired destination. But here’s the thing! Another friend had given Juliana the opposite advice. He encouraged her to visit “The Enchanted Land” on her trip home. And although the place sounded a bit mysterious, it promised wonderful benefits for herself and potentially many others. Plus, she could still make it home on time. Juliana trekked along and soon spotted a large attractive sign saying, “The Enchanted Land.” As she stood at the fork in the road, the enticement to enter was strong. She needed to make the right decision. Should she turn left or right? Which friend’s advice should she take? Should she go on in and find out for herself what it was all about? Certainly both friends couldn’t be right. Juliana continued to ponder …. So, here’s the life application: All people will face a fork in the road and must make the correct choice, so as to end up at the desired destination (heaven). Our time is limited, and the stakes are high. And some of our friends know the truth about ultimate spiritual matters, yet others do not. Hopefully, “Juliana” will realize that the Bible is the source of all truth and will follow Jesus Christ and His teachings. After all, the evidence for the truth of Christianity is like a mountain that towers over all religions and religious philosophies. And logically, all religions cannot be true because they contradict each other in their main beliefs. 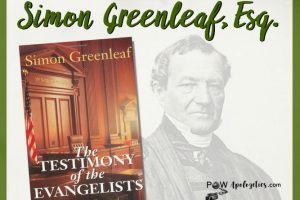 Two such areas of solid evidence for the Christian faith are: (1) The historical resurrection of Jesus from the dead (seen by hundreds of eyewitnesses) demonstrates that Jesus Christ is the Son of God, the risen Savior, and (2) The Old Testament, which contains three hundred messianic prophecies fulfilled centuries later by Jesus Christ (in the first century AD), establishes that He is the long-awaited Messiah. The Christian Gospel is radical and personal, and it changes hearts! After Jesus resurrected from the dead, He declared, “I am the way, the truth, and the life, and no one comes to the Father except through Me” (John 14:6; 1 Timothy 3:16). With open arms of love, the Savior of the world longs for people to know that He’s already paid the price for our salvation—by sacrificing Himself on the cross for each of us, to settle the “sin issue” on our behalf. And Jesus is actually only a prayer away—one heartfelt prayer away. 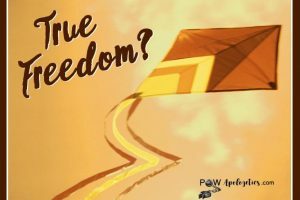 (A suggested prayer of salvation appears in the Gospel tract enclosed in my first letter to you.5) Amazingly, at the moment someone says a prayer like that, he (or she) begins a loving relationship with the Lord of heaven, which lasts forever! Lastly, I’d like to focus on Jesus Christ and His healing miracles. Therapeutic Touch [including the related practice of Reiki] is not a practice Christians can engage in without seriously compromising their faith and potentially endangering their relationship with God. He alone can teach the true meaning of the laying-on of hands to comfort, care, and cure. So, in conclusion, [name of friend], if you’d like to meet me for coffee sometime and discuss this, I’d love to. Or maybe we could set up a “Q & A” time for Bible questions. Or I’d love to do a small-booklet Bible study with you. For example, you could pick one of these titles: “Friendship with God” or “Follow Me!” or “The Incomparable Jesus.”8 Just let me know. Again, my cell phone is ____________. 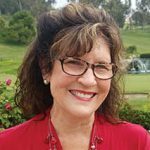 1In this article (christiananswersforthenewage.org/Articles_Reiki1.html), Marcia Montenegro explains that Reiki healing methods are interwoven with spiritual philosophies that point to pantheism, not to the God of the Bible. 2An excerpt from Marcia Montenegro’s email to me on 8/8/18. 3“Reiki for Christians” (christianreiki.org). 4A Bible-teaching article (gotquestions.org/laying-on-of-hands.html). 5The letter contained in Part 1 of this Reiki blog contained three enclosures: a gospel tract, an apologetics brief on pain and suffering, and an apologetic-devotional book (all are posted at TrueWayTracts.com). 6See Marcia’s 4-part Reiki article cited in footnote 1. 7“Therapeutic Touch” by Sharon Fish, published by CRI (equip.org/article/therapeutic-touch). 8Three Bible study booklets, Willow Creek Resources (Zondervan, 1992).